What Are the Benefits of Installing Seamless Gutters on a House? SEAMLESS GUTTER INSTALLATION STARTING AT ONLY $3.75 per ft.
We use .032 gauge Aluminum thickest gauge available and install heavy duty screw in hidden hangers every 24″ on center. 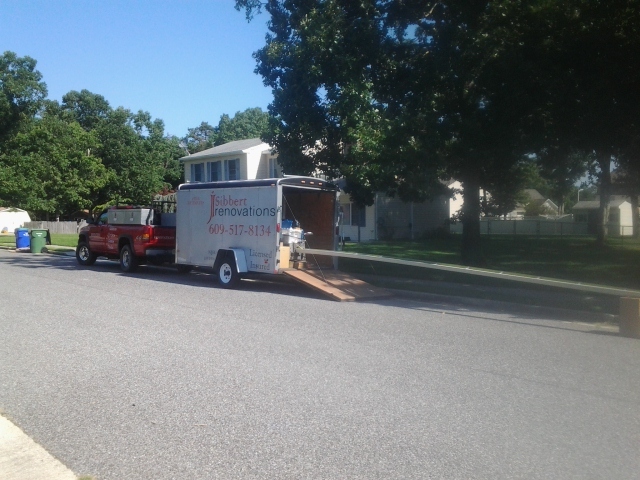 Installing Seamless Gutters on home serve several important functions. In any structure, keeping the ground surrounding the foundation as dry as possible is critical. Wet dirt surrounding the foundation can lead to severe structural problems. Seamless Gutters help control this problem by taking rain water that lands on the roof and then sending it out the bottom of your downspouts.Draining it away from the foundation. Look at the photo below. Which is the most important purpose of a seamless gutter, to funnel water away from basement and foundation walls. Water that falls from a roof can saturate the ground near the foundation. 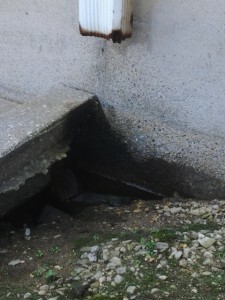 Over time, the water will find its way down and through the foundation walls due to pressure and the fact that it is saturated with rain water constantly. The result is cracks in basement and foundation walls, and erosion. Eventually could cause water in your crawl space or basement. Even without cracks, sitting water can soak through the basement and foundation walls and result in costly repairs. 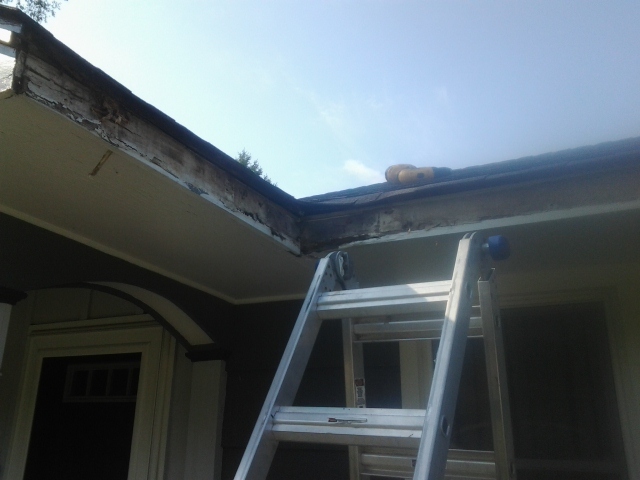 Seamless gutters prevent rot, homes without seamless gutters or clogged gutters are more likely to experience wood rot on the fascia and soffit. As water just spills over the roof and finds openings in the paint and caulking. 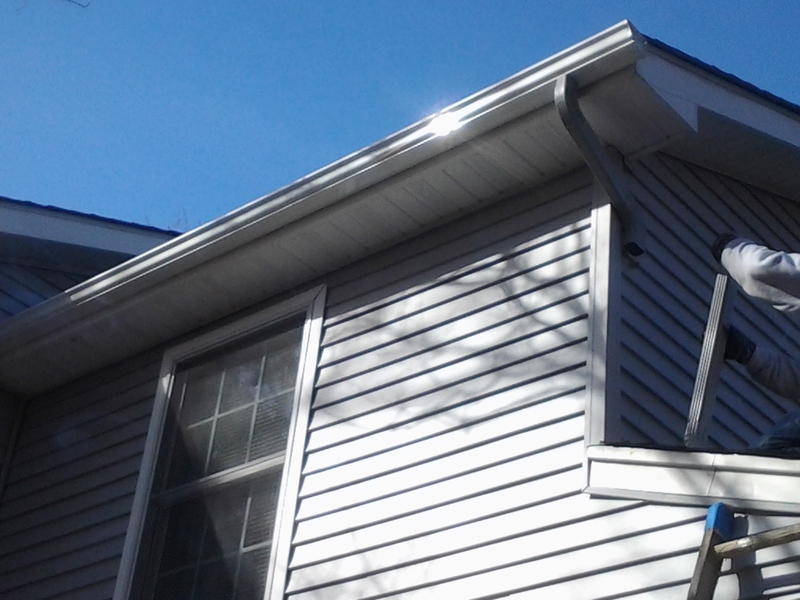 Properly installed and maintained seamless gutters keep water away from wooden fascia and funnel it to the ground. Water that spills uncontrollably from a rooftop has to go somewhere. Seamless Gutters prevent water from spilling off the roof and over entrances to your home, porch, garage, decks, and landscaping. They keep you and your guests dry as they enter and leave your home. Even a light rainfall can create a sheet of water that spills off the edge of the roof. Water that falls uncontrolled from a rooftop has to go somewhere. In a heavy rain, a high volume of water flowing away from your home can erode the dirt around it. This can cause ponding in the yard, which can lead to muddy soil and damaged grass. With proper installation and maintenance, seamless gutters can provide effective protection against water damage to your home. There are a few things to consider, however, in choosing between which company you have install them. The most important things to look at are quality, craftsmanship, and of course cost. Today’s homeowner has the benefit of a range of 20+ colors to choose from, For their new seamless aluminum rain gutter system. Seamless gutters are also available in copper which we can do also if copper gutters is your choice. Lets talk about your old sectional gutters, which generally come in 10 to 20 foot sections, are often available in vinyl, galvanized steel, aluminum, and copper. Some manufacturers also offer pre-painted gutters. 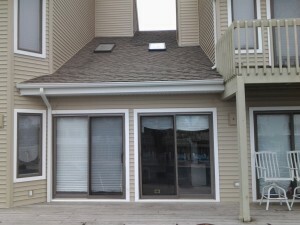 In terms of performance, Aluminum seamless gutters are the best way to go. Sectional gutters are prone to leaks at the seams and require more regular maintenance than seamless. 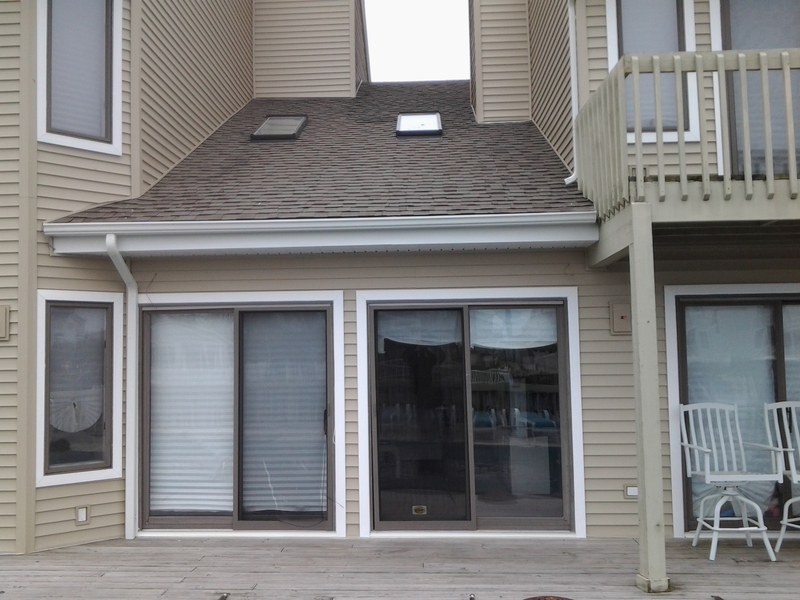 Seamless gutters are also manufactured on-site in lengths that are custom to your home.